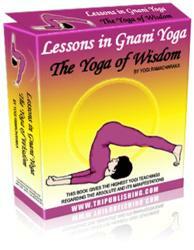 The best way to begin the practice of yoga is to learn under the guidance of a good, experienced teacher. Nothing can compare with the individualized, hands-on training such a teacher can provide. With the growing popularity of yoga, chances are that you can find a yoga studio, center, class, or teacher located close to you. By understanding the various approaches to yoga presented in Yoga for Men, you'll be able to make an informed, intelligent selection of one that's just right for you. However, you may be eager to learn about some basic yoga postures if you're new to yoga, or you may be interested in deepening your understanding of certain common postures if you're already practicing yoga. This section presents a complete, illustrated, step-by-step guide to a yoga session for men, which can serve as a companion guide to your yoga practice. According to yoga lore, Shiva, the great yoga master, created 8.4 million asanas. Fortunately, you don't need to practice all of those asanas to get the benefits of yoga! In practice, most teachers of yoga incorporate anywhere from several to a hundred or so postures in their overall repertoire. A typical 60- to 90-minute yoga class might contain one to two dozen different asanas that are carefully sequenced to provide a complete workout for body and mind. Some teachers even claim that certain powerful poses—such as Downward-Facing Dog, which is presented in the Sun Salutation series—can give you nearly all the benefits of yoga. The following yoga postures were carefully selected to guide you through a basic, Complete Yoga Session that you should be able to complete in an hour or less. This practice session includes one flowing series of poses followed by a dozen or so yoga asanas that will help you become more flexible, gain strength, and improve circulation and joint mobility. This session has been designed to help you restore and energize not only your body, but also your mind and spirit. The poses in this yoga program are those that you will find included most regularly in hatha yoga classes, no matter what the particular style or approach to performing the exercise postures is. They are the basic postures for healthy, stress-free living. While the physical asanas of yoga help to stretch, relax, and restore, they can also be physically challenging. You should only practice the poses in this yoga practice session if you are in good physical condition. If you have any physical problems, particularly in the areas of the neck, back, shoulders, or knees, as well as any circulatory or other health problems, you should consult with your physician before trying the poses. Whenever you practice yoga, pay close attention to your body and only perform postures within your level of comfort. The poses in this yoga practice session are presented for informational purposes only, not for medical or therapeutic treatment. They cannot fully teach the techniques described, but rather offer suggestions for yoga practice that should be integrated with instruction and supervision from competent teachers. If you have any particular health or other concerns, always check with your doctor to get his or her approval before embarking upon any exercise program. Before you begin "A Complete Yoga Practice Session for Men," read through the instructions for the practice from beginning to end to familiarize yourself with the program. Then, when you feel ready, begin your own personal practice of yoga. To help you get started, you might try reading the instructions for each pose into a tape recorder and play them back as you follow along with them. Even better, you might try doing this yoga session with a friend or family member who can read you the instructions as you embark upon, or deepen, your yoga practice journey. The postures in the session that follow are accompanied by illustrations of various yoga teachers and students demonstrating the positions. These models represent diverse age groups and body types, as well as varying levels of proficiency in yoga. They are all united in the common goal of wanting to share their enthusiasm for yoga with you. As are most of the readers of this book, they are real men doing real yoga. As you do your yoga practice, be kind to yourself. Remember: There is no "perfect" way to do each pose. There is only your way. Respect your limits. Always bear in mind that yoga is not a competitive sport. You don't need to feel that you have to compete with anyone— including yourself—when you do yoga. Regard your yoga practice as an opportunity to become more mindful and better aware of yourself and your limitations. Allow your yoga practice to be an opportunity for increasing your level of self-acceptance. Be aware of areas of holding, of poses that seem more difficult to perform, as well as any other awareness that comes to you. In this way, you'll learn to know your body better, and, with regular practice, help to optimize its functioning. And last, but not least, remember that yoga can be fun! So have fun as you start out on your own personal practice of yoga.